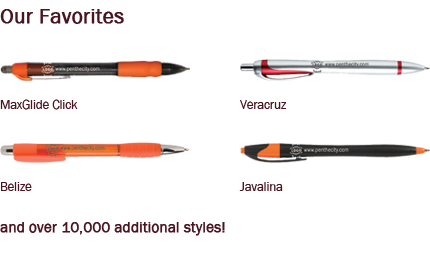 From the Ancient Egyptians reed brush to the Philadelphia quill pen, a writing utensil has always been important. The quill pen holds much value as it was used to write and sign the Constitution of the United States in 1787, which was after the writing of the Declaration of Independence in 1776. Pens started to advance over time and soon included a reservoir to hold ink. This lead to the Ballpoint and Fountain pen leaving us with the instruments we use every day. Dynamic Advertising Solutions, Inc. (DAS) is the answer you've been looking for to solve your organization's branding needs. Our one-of-a-kind approach results in endless benefits for you, our customer. Every day, our goals are two-fold: to help you build brand awareness and to provide unsurpassed value. As your marketing partner, our team will guide you through your next print campaign. Because our team sits next to one another every day, we eliminate the frustrating, inevitable lag time you face when working with a copywriter, graphic designer and printer (often three separate organizations). The transition from design to execution is flawless, saving you the hassle of acting as an intermediary project manager. From full print campaigns to in-store installations to a simple refresh of your brochures, one-sheets, or menus, we are here to provide quality creative products while saving you money. What is the one item that always comes in handy, yet it is always missing when you need it? Think about the last time you presented your customer with their check and they needed "something" to sign it? We know the feeling. We decided to solve this irritating problem for you. Attention to detail is one of the pillars in our organization and we strive to identify problems, big or small and solve them effectively and efficiently. 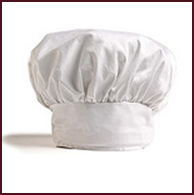 White 100% cotton chef cap with velcro closure for a perfect fit. Low crown cap height is 8" with a 3" band. 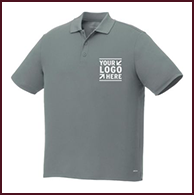 Edge Short Sleeve Polo with a flat knit collar, v-notch side slits and the tagless comfort of heat transfer labeling. 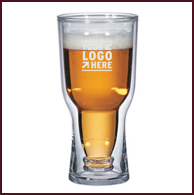 Brew2Go double wall tumbler. Meets FDA requirements. Snap-on lid with thumb slide opening. 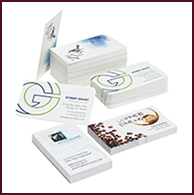 The extra thick business cards offer full color digital printing with luxurious thickness and eggshell finish. Want to get to know us better? Like who we are, what we believe in, and why we are awesome? Or perhaps you'd like to get in touch. We invite all and any questions as our team will get back to you with speed and an answer. ©2015 Dynamic Advertising Solutions. All Rights Reserved.